The 2010 Winter Olympics kick off tonight in Vancouver, BC, Canada. Shooting sports fans should follow the USA Biathlon team, which is considered the strongest group of American biathletes ever. Tim Burke, a top finisher in recent Biathlon World Cup events in Europe, is one of the favorites to collect a medal in Vancouver. That would be quite an accomplishment. Thus far, no American has ever won an Olympic Biathlon medal. Burke hope to change that. In the video below, Tim explains his training methods and his love for the sport. Definitely watch this video (produced by Time.com). Tim shows off his shooting skills and the reporter even tries out Tim’s Anschütz rifle. In an entire day of training, Tim only missed one target. While the American team is strong, it will face tough competition from the Europeans. 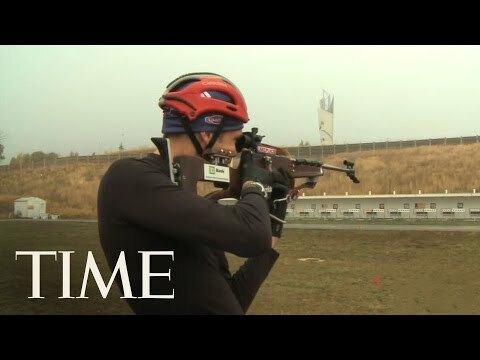 Biathlon is far more popular in Europe than it is in the USA. In fact Biathlon is the #1 televised winter sport in Europe. Nonetheless, the American team has been training hard in hopes of a strong performance. The video below shows members of the USA Biathlon team doing off-season “dry land” training. In the summer months, Biathletes train with special short skis equipped with wheels. They shoot with the same rimfire rifles used in winter events. Over 90% of Olympic-level Biathletes use Anschütz rifles, most commonly fitted with a straight-pull Fortner action. These rifles are capable of 1/4 MOA accuracy at 50 meters. Of course, it’s not so easy to hold the guns steady after skiing many kilometers with no time to rest before engaging the targets. That’s what makes Biathlon so challenging. For more information on Biathlon competition, visit the TeamUSA.org website. Share the post "Winter Olympics: USA Biathlon Team Hopes for Medals"
Many of our Forum members have reported that they have received their new Sightron SIII 10-50x60mm target scopes. These come with 1/8 MOA clicks and either a Fine Cross Hair reticle or FCH with target dot reticle. Currently the scopes do NOT include lens covers or screw-in sunshades. 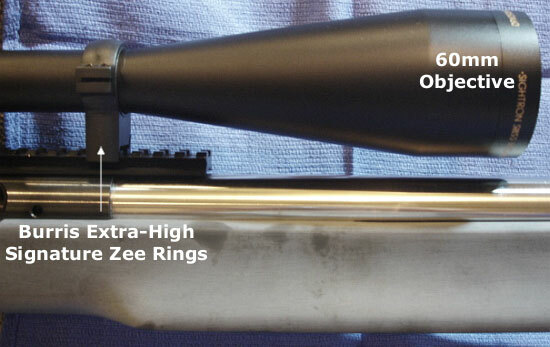 The new scope is pretty large, measuring 16.9″ overall and weighing just under 29 ounces (without rings). Below you see the new Sightron 10-50x60mm next to a Nightforce NXS 12-42x56mm. Some folks have been concerned about vertical clearance with the large 60mm front objective. 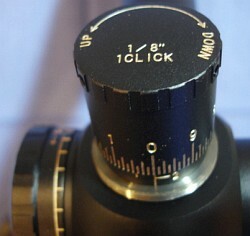 The photo below shows the scope mounted on a Weaver-type rail with Burris Signature Zee “Extra-High” scope rings. As you can see, there is more than ample clearance. With most Weaver rails and barrel profiles you could probably go to the next lower Burris ring height — but we recommend you get the specs if you plan to use other types of rings. The new Sightron 10-50x60mm scopes remin in stock at various vendors, but they are selling fast. MidwayUSA has them in stock today, priced at $994.99 (item 589261). Note: At this time, these scopes ship without scope caps or sunshade. Sightron hopes to have both caps and shades available by mid-summer. CLICK HERE for more photos by Forum Member SwitchBarrel. Share the post "New Sightron 10-50x60mm Scopes Are Shipping"
Gun industry executives will talk about their product lines (and give away some free stuff), this week on Tom Gresham’s Gun Talk radio show. Tom Munson (Trijicon), Bud Fini (Sig Sauer), and Travis Noteboom (Crimson Trace) are all slated to appear on the Sunday (Feb. 14th) edition of the nationally-syndicated talk show. Trijicon has been in the news recently, and the company’s Marketing Director Tom Munson will highlight new products Trijicon is bringing to market. Bud Fini, Sig Sauer’s VP of Sales and Marketing, will discuss the new products introduced at the SHOT Show last month, including the P238 Tactical Laser. Travis Noteboom will detail the products being given away in the new Gun Talk contest — the Crimson Trace Great Grip Giveaway. Tom Gresham’s Gun Talk Radio is in its 15th year and runs on 89 stations, plus SIRIUS XM Satellite Radio. All Gun Talk shows can be downloaded as podcasts through Apple iTunes or via the GunTalk Archives. Share the post "Trijicon, Sig Sauer, and Crimson Trace Execs This Week on GunTalk Radio"